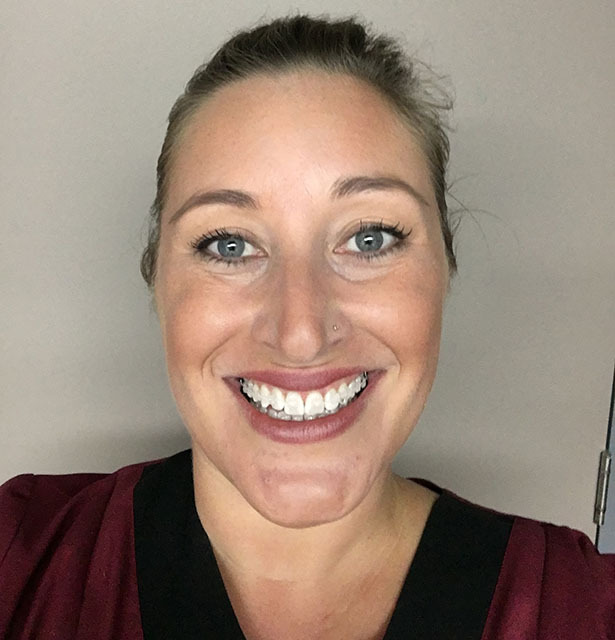 Future Dental’s Eloise Webb recently underwent Cfast orthodontic treatment with Dr . Here’s her journey in her own words. 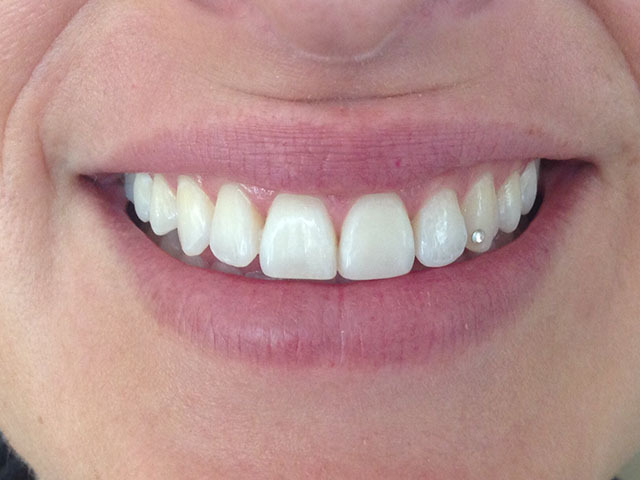 Whilst being fairly happy with my smile, I have always wanted to have perfectly straight upper and lower front teeth. 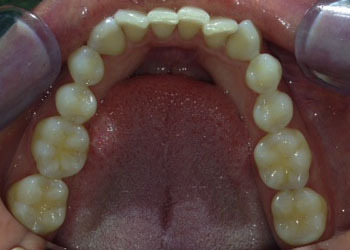 There was some overlap of my upper lateral incisors (the teeth next to the front teeth) over my front teeth. My lower front teeth overlapped each other and were a bit crowded. 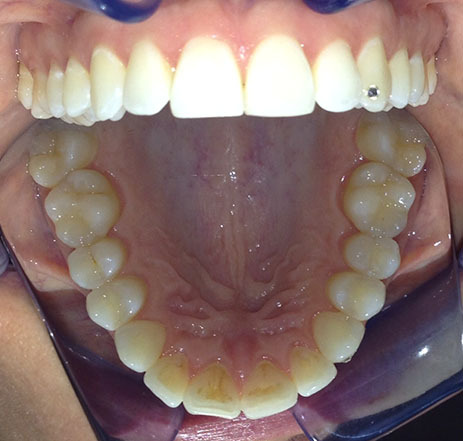 I did not want to have a long course of braces to correct this, so Cfast sounded like a good option for me. Cfast braces are designed to correct the alignment of the front teeth and work much more quickly than traditional braces. I asked Dr a lot of questions prior to commencement, including how long treatment would take, how much discomfort I would likely experience, what kind of results I could expect to achieve, and how to take care of my teeth whilst I had braces. After having impressions taken and analysing models of my teeth, I was booked in to have my braces put on. I was really happy with the appearance of the braces. The brackets were clear and the wire was white. They were barely noticeable to anyone else. Dr Mimi had advised that I would likely have some discomfort for a few days after having braces put on and after each monthly wire change. She had also advised that I might get an ulcer or two whilst the inside of my lips and cheeks became used to the braces. 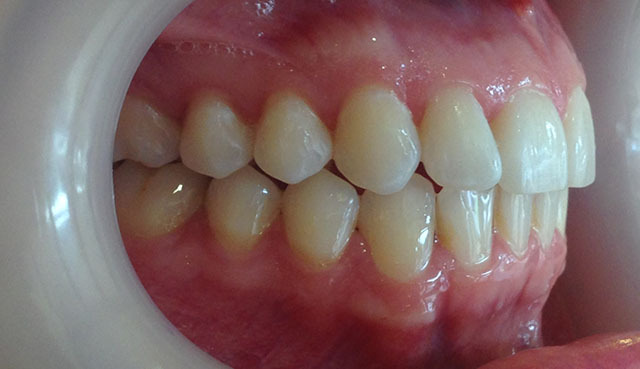 It wasn’t painful during or right after having my braces put on, I just felt a little pressure on my teeth. That night, the pressure increased and I took some Panadol as advised. I did notice a couple of ulcers in the next few days, but they were easily managed by putting some dental wax which was provided onto the adjacent brackets. The first week my lips were really dry as they were not used to being slightly separated (pouty). Lip balm and dental wax were my best friends. The upside was that I did enjoy fuller lips as a result! 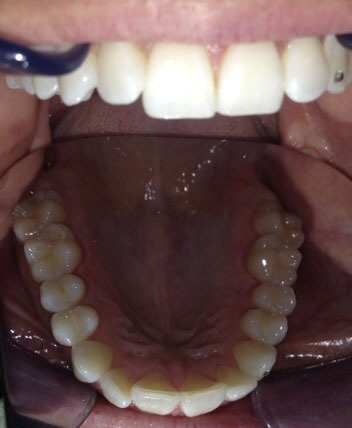 I noticed that my upper lateral teeth became straighter in just one week! This was very encouraging so I started to be more optimistic, realising that the pressure I was feeling was my teeth moving. That’s the price to pay to have perfect teeth! I also became more diligent in brushing my teeth! Even whilst out at a restaurants, I made sure I had my toothbrush (braces do have the ability to retain much of a meal!). I needed to brush thoroughly after every meal as advised. 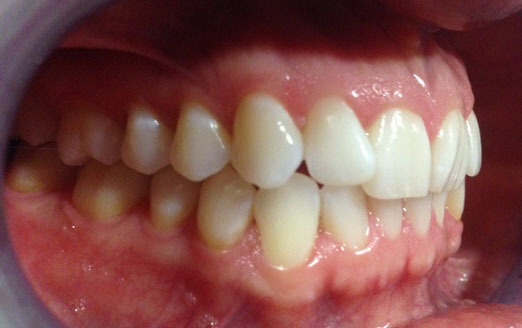 Every week, I noticed my teeth straightening more and more. It took just under four months for my orthodontic treatment to be completed. In time, I became used to the feeling of wearing braces and the extra effort I needed to put in to keep my teeth and braces clean became second nature. At the end of four months, my front teeth were straight and I was able to have my braces removed! I am extremely happy with my Cfast end result and it was all worth it. Find out more about Cfast braces, or contact us today to book your complimentary consultation. Mouth breathing in infants, toddlers, pre-schoolers and primary school children… Is it a concern?